It’s high time we take a closer look at Tita Lea’s food specialties. 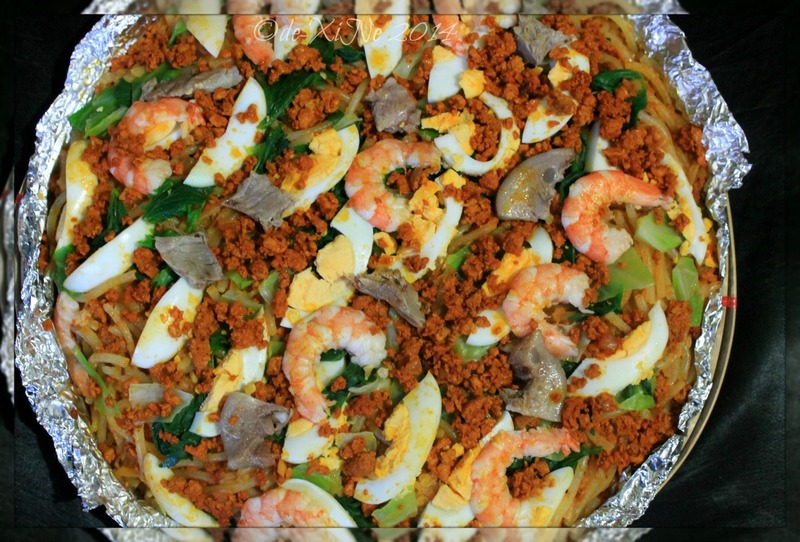 If the photo of that whole bilao of authentic pancit Malabon isn’t enough for you, Baguio eatsplorer, we can dig deeper into the details. 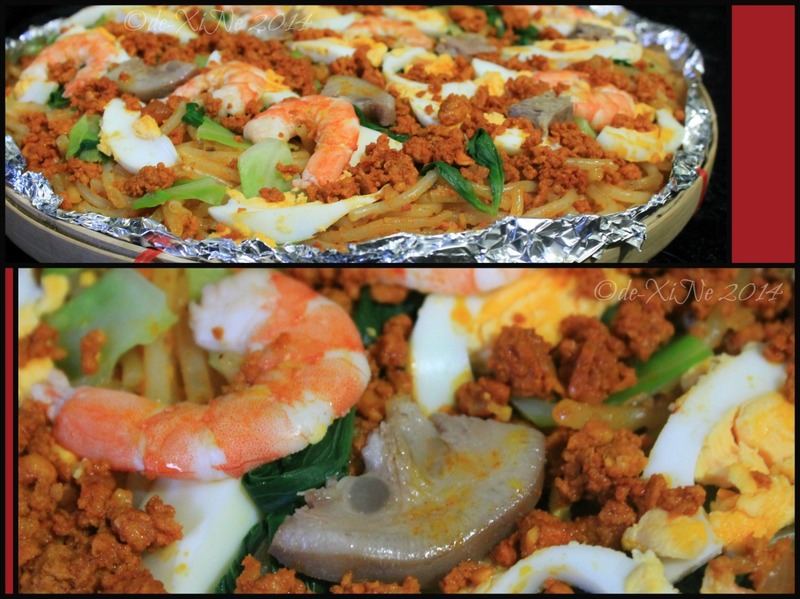 I’ve heard about this Filipino noodle dish from time to time but I’ve never really tried it. I figured I would have to make a visit to Malabon for the real thing. 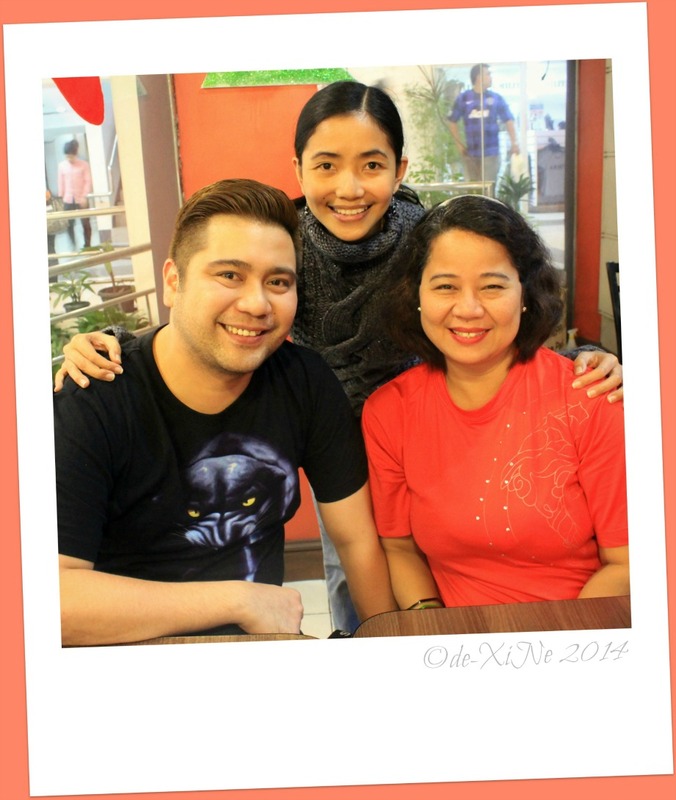 It’s lucky for us that we have Tita Lea and her husband moving to 074. \m/ Having lived in the city for more than 10 years, she said she missed the foods of Malabon, most especially so, this pancit. With a distance of 246 km, the metro Manila city is just too far to go to and so she decided to take matters into her own hands – she made her own. The holiday season’s just around the corner and not all celebration foods are sweet. 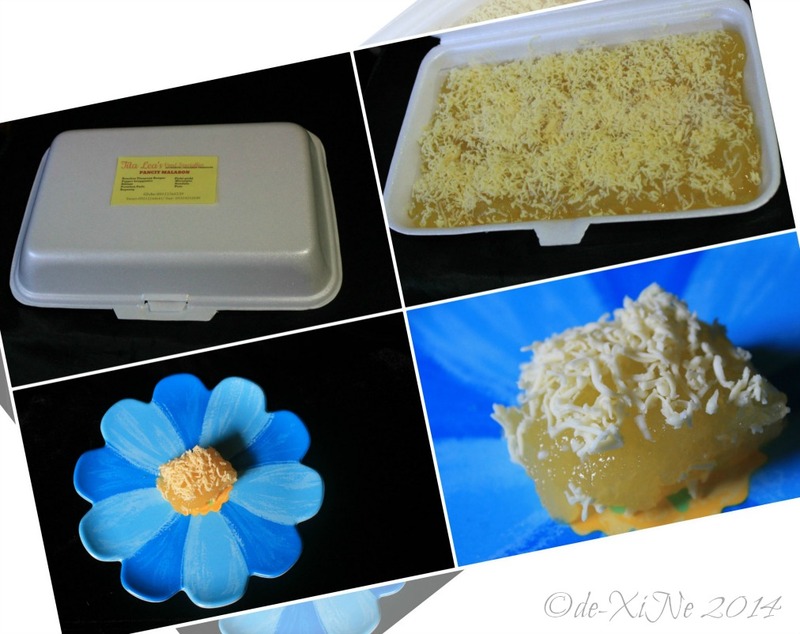 =) If you want pancit Malabon … and the smoothest/jiggliest pichi pichi topped with cheese to be part of your party spread, you know where to order. (I know we’re going to be at the food specialty online store to place orders soon.) Please have your orders in at least two days before to give Tita ample time to prep the dishes – soak the noodles, etc. 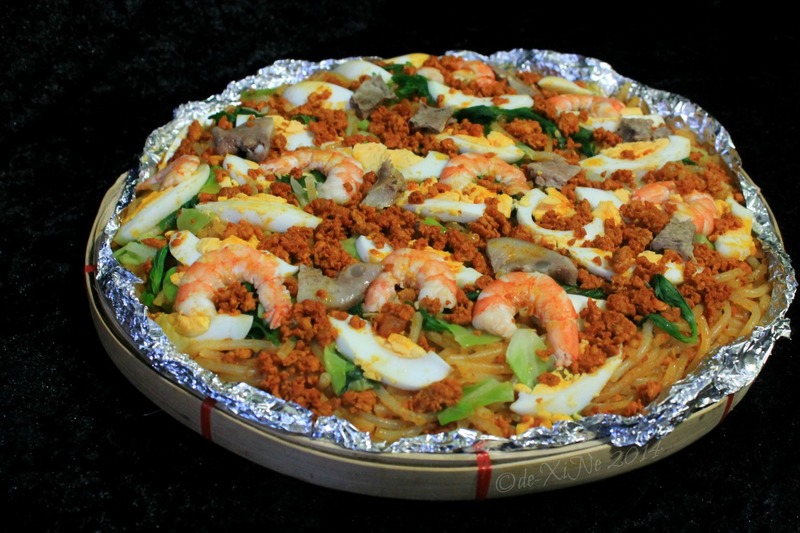 for the perfect pancit Malabon taste. Also available are Malabon products like pepper longganisa, boneless tinapang bangus, kikiam, premium patis, special bagoong, merengue, kutsinta and puto. (UPDATE 12/17/2015: click on the highlighted words for a deeeelicious view of the food) Wee! 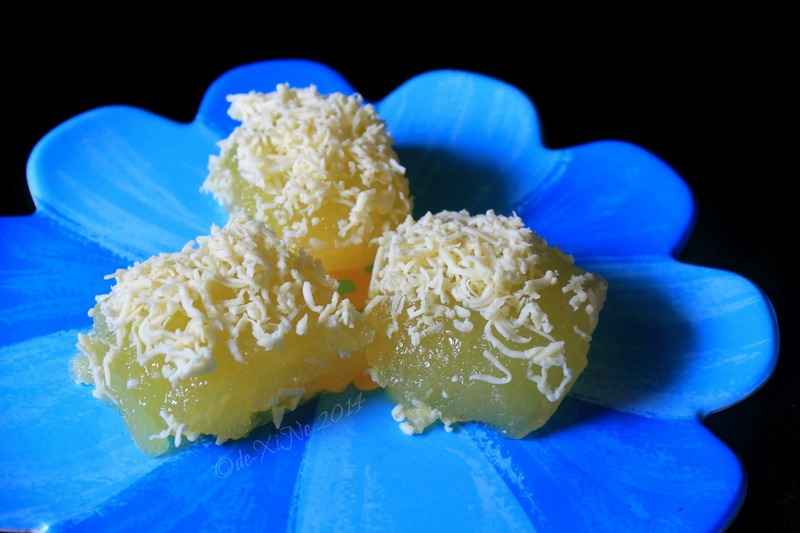 (If you haven’t tried even just Tita Lea’s kutsinta yet, you’re missing out, FOR SURE. Everyone that’s tasted it, raved about it … yes, including me; this is me raving about something delectable. The first of many, many orders of caramel black kutsinta from Tita. Whoo-hoo! UPDATE 07/24/2017: Tita Lea’s now has a pick up depot right smack in town, across from Baguio Cathedral. While they’ll have some foodstuff for walk-ins, these are pretty limited, so please, please, book your orders days before so you surely won’t lose out. Tita Lea’s pre-order food store. Weee! ***Thank you so much, Maam Tita Lea for the free sampling of your specialties; for saving us a trip to Malabon; most especially for bringing a taste of good eats Malabon to Baguio. It really was a pleasure to meet you and Sir Nathaniel! ***Thanks for the Mv.A gif, Ali! Yeh! Haha I loved the Monsters vs Aliens movie. 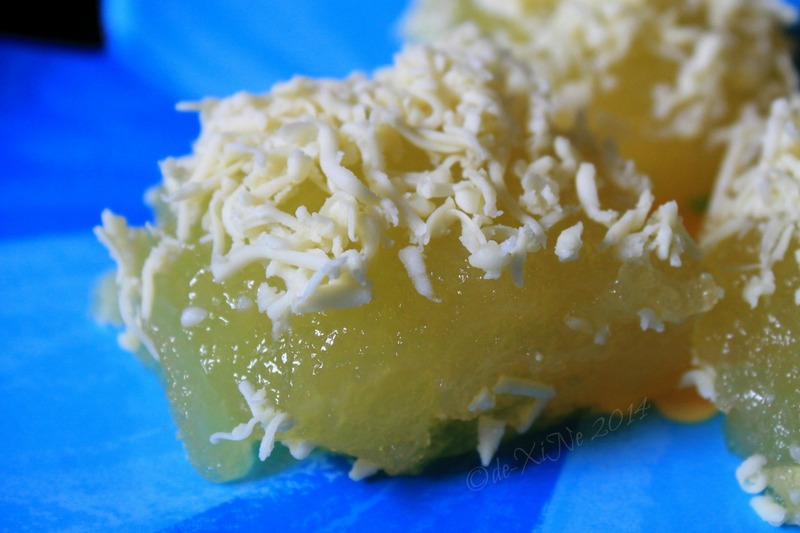 Great depiction of the jiggly pichi pichi.